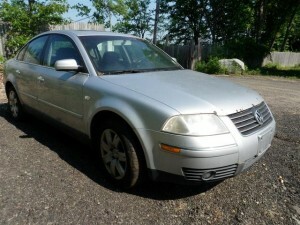 Just in this 2001 VW Passat is at it’s end of life and we are recycling the parts to save you money. We have inventoried this car for all of the quality OEM parts available and have them all in our computerized inventory system and ready to sell. All of the body and interior parts are inspected for condition and any damage is disclosed. All mechanical parts are tested and stored in our warehouse. All of our parts come with a standard 6 month warranty and we offer extended warranties for purchase. 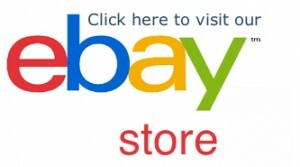 We ship our parts nationwide so if you need a part and don’t live in CT, no worries, we can ship it right to your door! 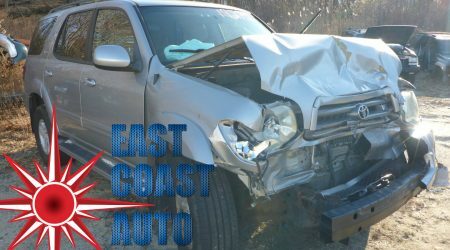 Buy with confidence from East Coast Auto Salvage! We are a licensed automotive recycler in the state of Connecticut with a stellar reputation. We care about our customers and appreciate your business!